Free Bolt Lock! with Spare Wheel Mounting Bike Rack! Hauling your bike with a Jeep sounds like an impossible task? 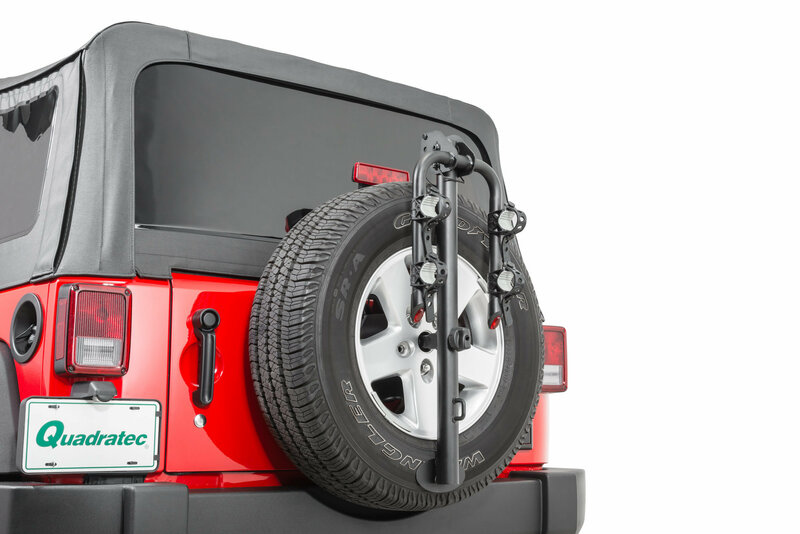 Quadratec has made it a little easier with the Spare Wheel Mounting Bike Rack. This universal fit Rear Spare Wheel Mounted Bike Rack fits tires up to 35”x12.5” (Not for JL due to rear spare mounted camera). The Quadratec Spare Wheel Mounting 2 Bike Rack attaches to the factory spare tire carrier without the need of a hitch. 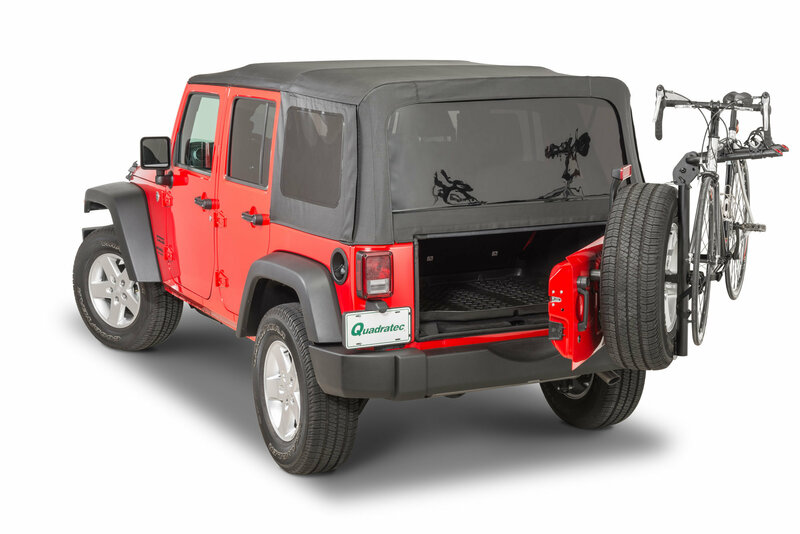 This design swings with the tailgate to allow the lift gate to open for easy access to your cargo area without having to remove the rack. The soft rubberized cradles and the adjustable rubber hold down straps firmly secure bikes without marring their finish. The dual arm supports provide extra stability and have red safety reflectors and a fold down feature for compact storage when not in use. 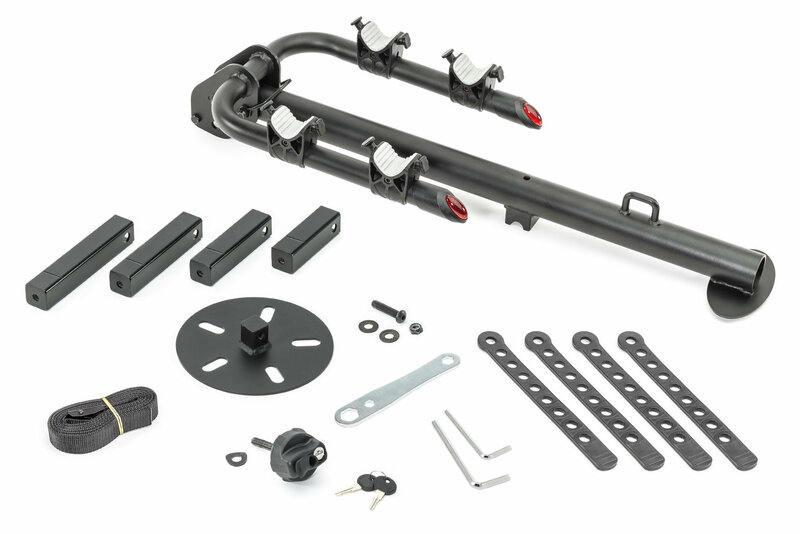 System includes a 9’ long adjustable nylon cinch strap for additional security when transporting bikes. Thick welded steel construction with black powder coat finish provides lasting durability. Includes a three year limited warranty. 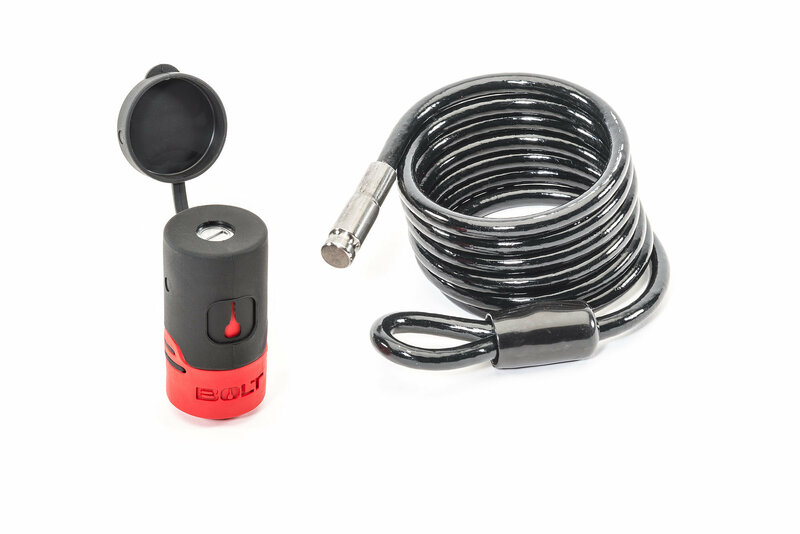 Strattec BOLT locks operate with your vehicles ignition key! 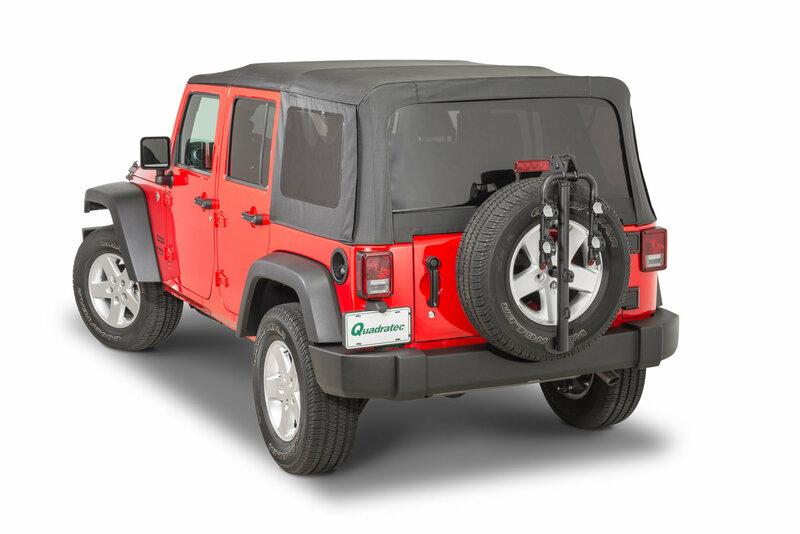 Insert your Wrangler ignition key, turn once, and the lock permanently learns only that key! Strength and corrosion resistance: chrome plated, hardened steel shackle and hardened zinc core. Stainless steel shutter keeps out dirt and moisture. Cable locks feature 6′ long x 1/4″ steel cables that are vinyl coated to 5/16″ outside diameter, and coil sprung for compact storage. All BOLT locks have a limited lifetime warranty.